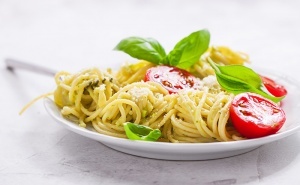 Most runners know they should eat pasta, rice, potatoes, or other high-carb foods before a half or full marathon. After all, carbs are a great source of energy, and you need a lot of energy to cover 13.1 or 26.2 miles. We will have three types of food including a vegetarian meal. Do not miss this! Eat well, train well, and RUN FAST!!! !